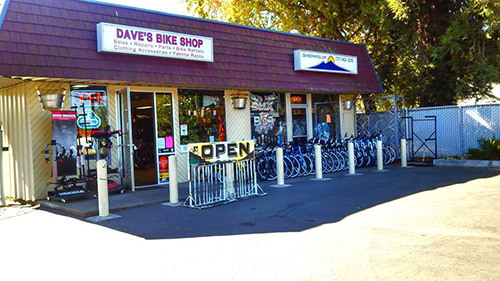 Since 1994, Dave’s Bike Shop has been a destination for cyclists throughout Ukiah, CA. We’re the place to visit when you need bike tune-ups and repairs, or if you’re looking to buy a new bike or cycling accessories. We carry some of the best name brands and offer a wealth of knowledge to all our customers! Stop in today and let us know how we can help you. There’s nothing quite like riding your bike through the scenic and serene landscape of Ukiah and Mendocino County. This area welcomes new riders and experienced cyclists alike, with a plethora of trails, challenges, and spectacular views that make spending time atop a bike something everyone can appreciate. Before you head out for your next ride, make sure you’re visiting Dave’s Bike Shop in Ukiah, CA. We’ll make sure you’ve got air in your tires and all of the gear you need to ride safely and enjoyably through this exceptional region. Our shop is dedicated to serving the needs of our local cycling community through sales, service, and expertise. We’re the local destination for buying your next bike or bike repair in Ukiah, CA. 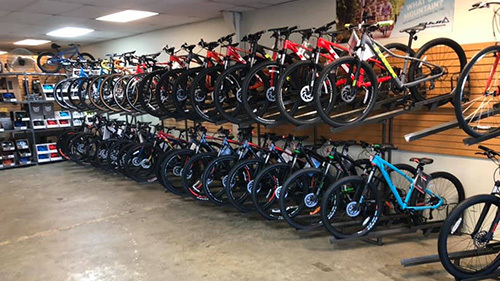 Our knowledgeable staff is on hand to answer any cycling questions you might have, and we’re always ready to offer up recommendations or insight to customers with questions. Whether you’re buying your first bike or you’re a seasoned rider looking for new gear, you’ll find everything you’re looking for and more right here. We invite you to stop by today and pay a visit to our shop before you set off on your next bike ride—you’ll be glad you did. We’ve been a locally-owned and –operated bike shop since 1994. Brands available include Yakima, Swagman, Trek, Fuji, Pivot, Rocky Mountain, Redline, SE Racing, Breezer and many more! We’re a DT Certified Wheel Builder, as well as certified mechanics for Schwinn and Ubi brand cycles. We’re members of the Adventure Cycle Association (ACA), the League of American Bicyclists (LAB), and the International Mountain Biking Association (IMBA). Our services include bike sales, repairs and more, to help our local cycling community stay happy and safe! Whether your bike needs a tune-up or you’re looking for a new piece of gear, Dave’s Bike Shop welcomes you. Stop in today or contact us with any questions you may have.